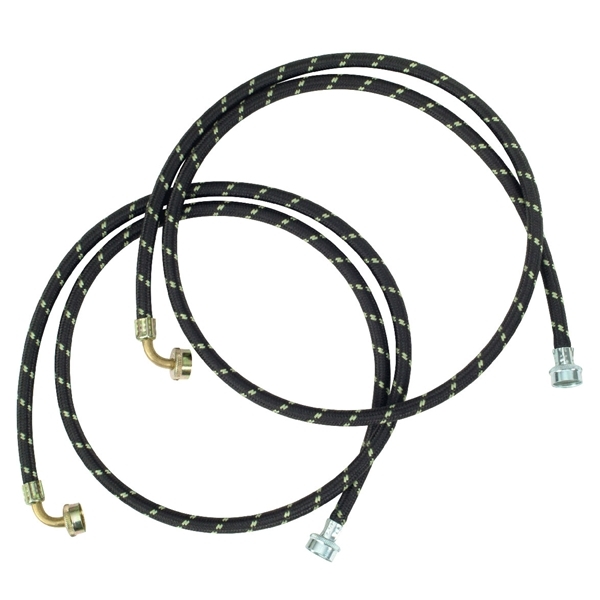 Hose kit includes everything you need for easy water supply installation and fits most washers. Hoses provide hot and cold water to the washer with (2) 6 ft. water supply lines. These hoses are the most flexible choice for all washer applications and include a nylon braided protective bonded layer, a Hypro-Blue Steel anti-corrosive couplings, pre-installed high-quality EPDM washers, a large diameter for maximum water flow, and a space saving 90 degree elbow.